PEOPLE in Exeter are being encouraged to get January off to a great start by making a date to join Cancer Research UK’s Race for Life. This year, for the first time, Cancer Research UK is inviting everyone in the area – women, men and children - to join the Race for Life. There are events for people of all ages and abilities taking place at Westpoint Exeter on 20 – 21 July. Ruth Chamings, Cancer Research UK’s Exeter Event Manager, said: “Our Race for Life events are fun, colourful, emotional and uplifting. They help people with cancer by raising money for research, including clinical trials which give patients in Devon access to the latest treatments. 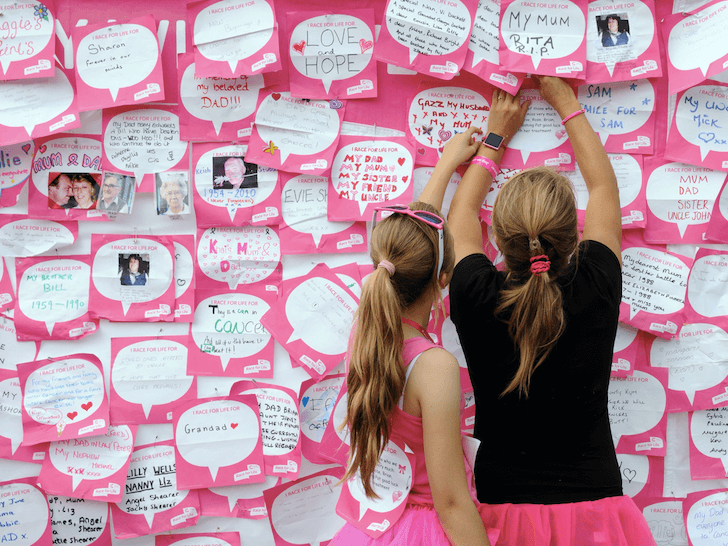 She continued: “The Race for Life is a powerful, inspirational movement which unites participants in Exeter with people across the South West and the whole of the UK. Ruth added: “Our Race for Life events have been women-only since they started, over 25 years ago. But we now feel the time is right to open them up so that everyone - women, men and children – has the chance to participate together.